On June 11, AccorHotels and the Montreux Jazz Festival unveiled a partnership for this 52nd edition, which will take place between June 29 and July 14, 2018. Since its creation in 1967, the Montreux Jazz Festival has been firmly rooted in the hospitality world. Its founder, Claude Nobs, worked for the Montreux tourist office before creating the festival that would put his city on the map. For its part, AccorHotels has for many years been a champion of both artists and audiences. AccorHotels will present the Orient Express brand, a Group subsidiary since January 2018, through an ambitious installation. It will be open to the public for the duration of the festival, with festival-goers being invited to watch a series of showcases from the comfort of bridge armchairs or play the piano provided for their enjoyment. Within the idyllic setting of Fairmont Le Montreux Palace, The House of Vinyl by Le Club AccorHotels will take up residence for the duration of the Montreux Jazz Festival. Guests and artists will have the chance to discover 3,500 collectible vinyls made available by Fred Bernard and selected from Claude Nobs’ incredible record collection. On the first floor, surrounded by a breathtaking landscape and with uninterrupted views over Lake Geneva, the rooftop terraces will provide a haven for guests and artists alike to unwind. The Montreux Jazz Talent Awards have been organizing jazz competitions since 1967. Demos from 16 artists chosen directly by the Festival’s team of programmers will be appraised by an Artists Committee, composed of musicians and producers who are well known at the Festival. The artists will then be judged during their public performance at the 52nd Montreux Jazz Festival. Fairmont is committed to discovering and nurturing new talents and is taking this opportunity to launch the Fairmont European Tour Award with the winner to play at 4 European Fairmont palaces (Barcelona, London, Hamburg and Montreux) during brunch, afternoon tea or in the evening. 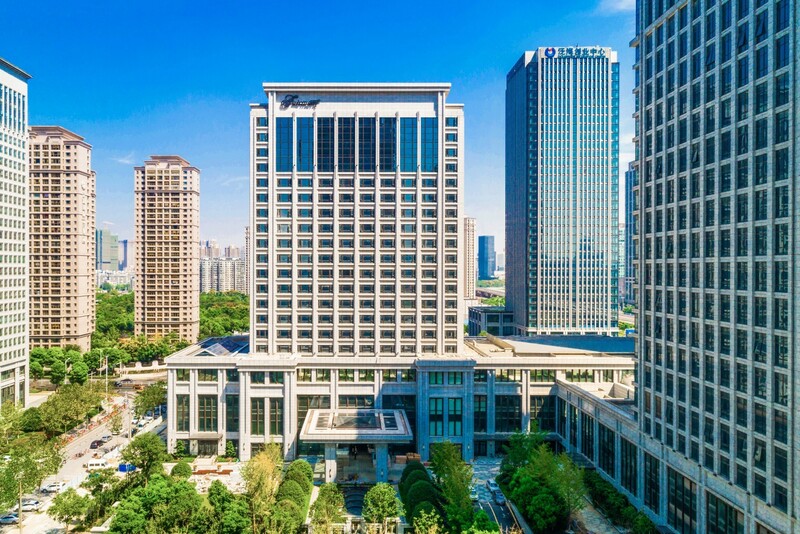 Fairmont Wuhan, the country’s sixth Fairmont hotel, will open its doors in October 2018 within a rapidly growing city, often compared to Washington due to its bustling activity. Located in the central district of Wuhan, the hotel will be ideally suited to welcoming business travelers. The hotel’s black and white décor has been designed by DAS Architects and embodies the brand’s look and concept, combining tradition and modernity. The hotel will have 318 rooms, including 24 suites, offering magnificent views over the city. It will also provide several dining options including a traditional Chinese restaurant, a steakhouse and a Lounge Bar. A space spanning 2,008 square meters will be reserved for meetings and seminars and will comprise a ballroom, multipurpose meeting rooms and a unique chapel for holding weddings. The Fairmont Wuhan will also house an exclusive Fairmont spa, a fitness center and a pool. With 74 hotels in 26 countries, including five properties in China already (Beijing, Nanjing, Shanghai, Yangcheng Lake and Chengdu), the Fairmont brand plans to open more hotels by 2022 in highly sought-after locations such as Los Angeles, Mumbai and Phuket. It’s summer at Sofitel Paris Le Faubourg! With the promise of sunny days and the start of the holiday season, dreams of lounging and long evenings spent with friends are in everyone’s mind. The terrace of the Bar du Faubourg offers guests the chance to enjoy Laurent-Perrier Champagne in both traditional and original ways: in a champagne coupe, enlivened with tapas in the sunshine or in a poptail – the new trend for this season. 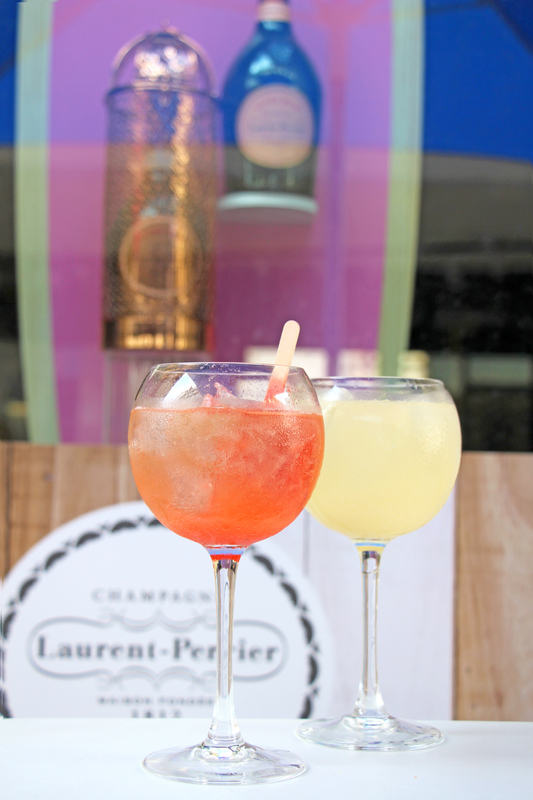 Fun, delicious and surprising, these popsicles are actually cocktails created specially to complement Laurent-Perrier Champagnes. They can be eaten or can be left to melt in the glass, like a Bellini – the possibilities are endless. Ginger, lychee, lime and rum, or perhaps summer berries, lime and vodka infused with basil and rosemary… All served in a setting reminiscent of the Atlantic coast and the delights of the waterfront with surfboards, parasols and sun hats. A sea breeze is signaling to Faubourg Saint-Honoré that summer has arrived! The Blossom restaurant invites guests to make a gourmet stop with its famous St Honoré. The patron saint of bakers, St Honoré gave his name to this gateau, one of the most iconic of the French art de vivre. The hotel restaurant has made this its signature dessert in homage to this wonderful area. Pastry Chef Shereen Khelif serves it in various ways, capturing the garden-like atmosphere of the location. More indulgent than ever, the St Honoré Blossom satisfies every taste: Unmissable Praline, Delicate Blueberry or Summer Lemon… Everybody is free to choose or to personalize their own patisserie by visiting the Patisserie workshop. 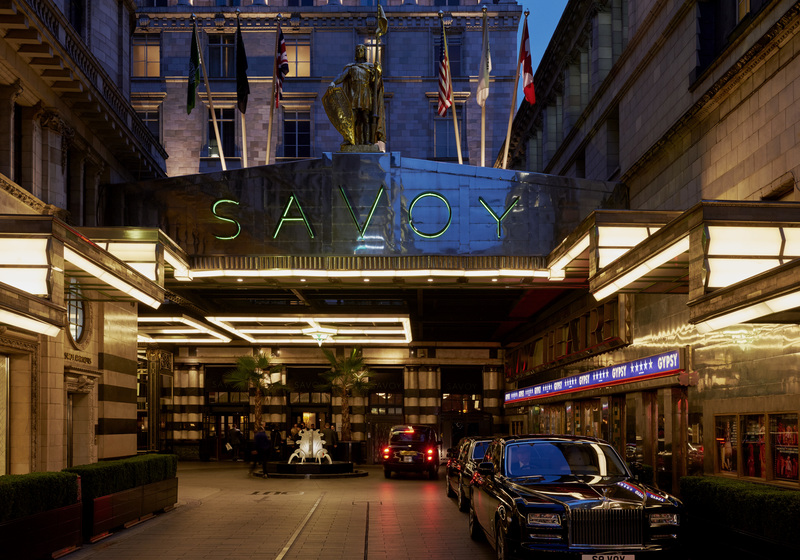 Throughout its history, The Savoy, a Fairmont brand hotel, has enjoyed a special place in the heart of the literary community. The obvious next step was to launch a literary program intended to bring together authors, writers and book lovers to celebrate the written word. Damian Barr, award-winning writer, columnist and author of Maggie & Me, will be the program’s literary ambassador. Damian will revive the hotel’s famous Writer-in-Residence program, introduce a Book Butler to curate a seasonal library for guests, and continue to host the literary salons that he has been organizing for the past ten years. Each Writer-in-Residence will take up residency at The Savoy for approximately three weeks, working on a novel or an exclusive short story, as well as appearing at events. The three writers confirmed so far are Garth Greenwell, Sarah Perry and Aminatta Forna. As of September 2018, a “Savoy Book Butler” will be available to cater to guests’ literary needs and curate a mini-library featuring the favorite titles of the writers passing through the doors of The Savoy. The library will be updated seasonally to include the latest titles and will be available to guests looking for a good read during their stay. Children’s libraries will also be available to entertain all generations. Damian Barr has been hosting renowned literary salons in the glittering Lancaster ballroom since 2016, inviting both established literary stars and emerging talents to share their experiences and novels. The Savoy will host two salons in 2018: the first on June 1 and the second on October 29, which will be a 10th anniversary celebration. To ensure that every guest enjoys the best possible experience in its ibis hotels, the brand is rolling out the “Mission 15’” concept across its entire network. This new commitment to every hotel customer, resident or not, guarantees that, in the event of a problem or specific issue related to one of the hotel’s services, the “Smile Team” will provide a solution to make them smile again in under 15 minutes. Accessible 24/7, “Mission 15’” is the guarantee to every customer that their experience in the hotel will go without a hitch, that teams will welcome and be attentive to their every request, and that they will check out with a smile and with happy memories of their time at the hotel. Mercure Beauvais Centre Cathédrale – opening scheduled June 2018. These new designer hotels, providing a locally inspired ambiance, are true gateways to these destinations and ensure that every stay in a Mercure hotel provides an immersive local experience. In Beauvais for example, from mid-June 2018, visitors will be able to discover the Mercure Beauvais Centre Cathédrale hotel, located in a former 19th century mill that has been completely renovated. For a charming stay in Corsica, the Île de Beauté, the Mercure Bastia Biguglia hotel which celebrated opening its doors in late May, offers an atmosphere that is both warm and modern thanks to the prominent use of natural materials in the décor in the lobby areas and rooms. These 8 new properties testify to the steady development of the Mercure network.